We all love our phones—the cameras capture the memories we make, they find us the best route to work each day, and they answer the questions we have throughout the day. But many of us can probably use a little bit of help disconnecting from our devices from time to time so we can focus on the other things in our lives. The new Dashboard helps you understand how you’re spending time on your phone, with a daily overview, a graphic of how frequently you use different apps, how many times you unlock your phone, and how many notifications you receive. App Timers let you limit the amount of time you spend using your favorite apps. Do Not Disturb helps eliminate the anxiety you may feel as notifications pile up. When you’re in a “devices down” meeting or at dinner with friends, Do Not Disturb can be set to keep all visual interruptions from appearing on your screen, including notifications, as well as the sounds. 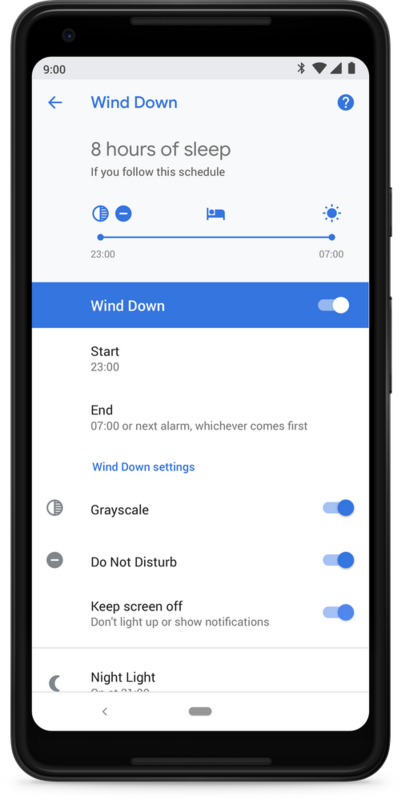 You can activate the Wind Down feature so that at night, as you get close to bedtime, your device goes into Do Not Disturb mode and your screen fades to grayscale to help you disconnect. 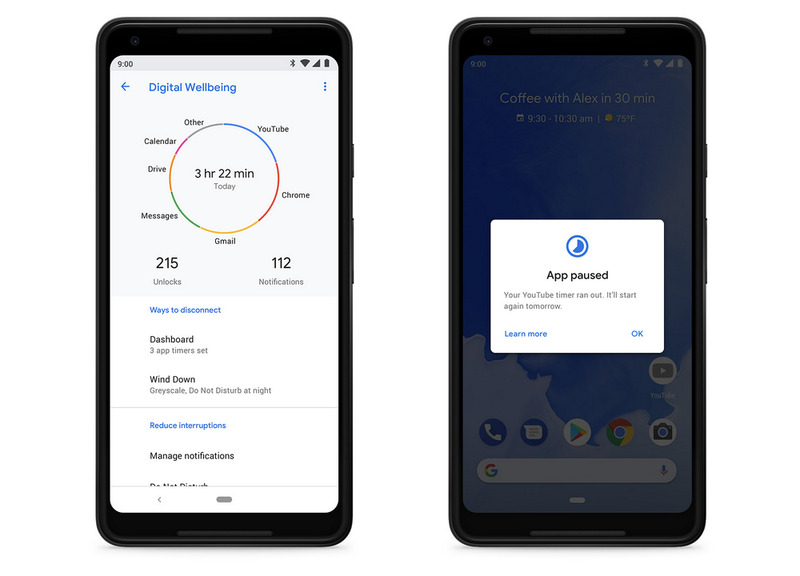 The Digital Wellbeing beta is available for download on Pixel, Pixel XL, Pixel 2 and Pixel 2 XL now, and it will be pushed as an update to all Pixel devices later this year. Get step-by-step instructions on downloading the beta app and try out Digital Wellbeing for yourself. Pixel keeps getting better, and with Android 9, it’ll also get a number of other AI-backed features, including Adaptive Battery, Adaptive Brightness, and a revamped look and feel. Find out more about Android 9. Our goal has always been to deliver our newest features to Pixel users as soon as they are ready, and the Digital Wellbeing beta and Android 9 are part of that. So dig in! This entry was posted in Official Google Blog and tagged Android, Pixel on August 6, 2018 by The Official Google Blog.